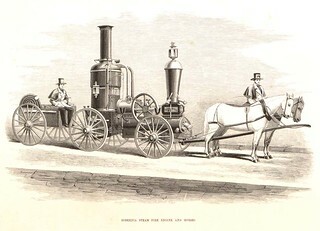 Hibernia steam fire engine and horses. From: Hibernia fire engine company no. 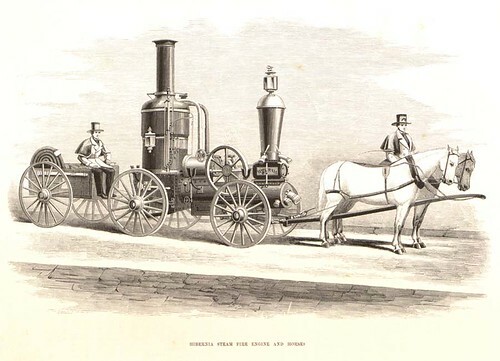 1. have caused this volume to be issued in remembrance of their visit to the cities of New York, Boston, Brooklyn, Charlestown and Newark, in November, 1858 ... and by their brother fireman on their return to the City of Philadelphia (1859), plate (facing page 29).